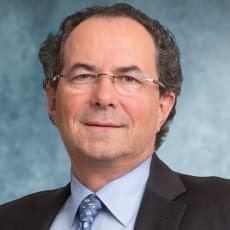 Frank Aquila is a partner in Sullivan & Cromwell’s general practice group and a member of the firm’s management committee. Mr Aquila has a broad multidisciplinary practice that includes extensive experience in negotiated and unsolicited mergers and acquisitions and corporate governance. He has been engaged in many high-profile matters that include activism and takeover defence, proxy contests, complex cross-border transactions, global joint ventures, leveraged buyouts and private equity transactions. He regularly counsels boards of directors and board committees on corporate governance matters, crisis management and matters affecting corporate policy and strategy. Mr Aquila is consistently recognised as one of the world’s leading mergers and acquisitions lawyers, including as one of a small number of lawyers ranked by Chambers Global in Band 1 (the top tier), as an American Lawyer ‘Dealmaker of the Year’ and as a recipient of the Atlas Award as ‘Global M&A Lawyer of the Year’ and as a three-time Law360 MVP. Mr Aquila is widely acknowledged as an innovator and thought leader in the profession. In 2015 the Financial Times recognised his representation of Kraft in its merger with Heinz to form The Kraft Heinz Company as one of the most innovative in North America. For his work in corporate governance, Mr Aquila has been regularly named by the National Association of Corporate Directors (NACD) to its ‘Directorship 100’ – one of the 100 most influential people in corporate governance and inside the boardroom. Best Lawyers in America has named Mr Aquila as its 2017 corporate governance law ‘Lawyer of the Year’. In 2014, Global M&A Network recognised Mr Aquila as one of the top 50 lawyers in the world.